Folk complain that Civil 3D is not really user-friendly for Site Design. This is bunk. The complaint is true only if you insist that site design in Civil 3D should be like it was for years in old school CAD software. We insist our AutoCAD skills are more important than new Civil 3D skills and capabilities. About the only thing Civil 3D has in common with that old software is Civil 3D’s use of similar but the slightly deceptive Ribbon names like Point, Surface, Grading, Parcel, and Alignment. By now I trust you know that a Civil 3D Alignment has little in common with an old school CAD object. One can create Surface, Grading, Parcel, Feature Line, and Alignment Features from CAD objects, but that is not the same thing as the managed Civil 3D Data Behind. It is not so funny that the language used by us all can confuse the project-based Data Behind nuances. When I explain to students that Parcel segments can be effective Surface breakline grading tools people often become bewildered. Say what? The idea that Site Parcel and the collected Parcel segments can serve as both Boundary and Surface resolution definitions is somewhat counter-intuitive. In the beginning Autodesk was perhaps a bit duplicitous to imply you should/could employ the same objects to do both tasks at the same time. We cannot ignore the Separation of Powers inside Civil 3D. An unmanaged project Model in Civil 3D is not the fault of the software, but the lack of a project plan, consistent applied discipline within the workflows, and Civil 3D skills. More on managed projects in a bit. These days in Civil 3D we can even employ Offset Alignments, Connected Alignments, and slope-controlled Offset Profiles to generate those same Parcel segments. This may add further insult to injury and forms of annotative chaos unless we see the need for better project-managed Data Behind. If you do subdivision design for a living, managed Area and Surface capabilities can save you tons of time and big bucks. Just saying. Over the last three releases Autodesk made some major site design improvements in Civil 3D. For example - Autodesk and many public Civil 3D geeks have gone on about the capability to employ a Feature Line as a Corridor Baseline. More on that in a bit. The ability to employ Data Referenced (DREF) Corridors created powerful new workflow opportunities that shorten production decision making, quality control, and publication for Multiple Baseline Corridors (aka - Complex Corridors). These are the meat and potatoes of iterative site design – all design - in Civil 3D. We better have our data management and project concepts, structures and skills up to snuff. Civil 3D Project Templates help more than we expect. Projects often suffer from their neglect. There are a new series of posts with videos about those mission-critical Civil 3D Project Setup topics. Projects need continuous development. Certainly, we also need better Style Tools to clarify and visualize differences. The Multiple Baseline Corridor Basis…or…Basics? The workflow concept of Multiple Baseline Corridors is conceptually simple. We employ a corridor to build a design solution. That design corridor produces another Baseline that we add to our managed (Complex) Corridor that collects these connected parts ad nausea. We do get better interactive Grading solutions with interchangeable (replaceable) dynamic definitions from collected Assemblies of subassemblies and PKTs. We could really use updated Region creation, edit, and management tools. There is still way too much required manual busy work in maintaining Multiple Baseline Corridors. Regions should have types. Regions need Set-like abilities to preload defaults. We need better ways to manage all the properties of Assembly-collected subassemblies and PKTs and their cousins in Component Roads over in Infraworks to improve design consistency in our projects. Civil 3D can still get much better. Our work cannot wait for it either. The Civil 3D Intersection is a classic semi-automated specialty example. The intermittent design-control workflow wizardary of the Intersection is only part of the story. I trust you never go through the Intersection Wizard in one pass? Say What? You get it that Curb Return Alignments can be easily replaced with Connected Alignments in Intersection-generated Corridor Regions? You get it that your subdivision right of ways are a network of related Intersections. People do tend to get stuck on the roadway corridor demo idea that one Assembly has to deal with the entire cross section. Dooh. How well we manage and employ the Civil 3D Design Control Managers – Alignments – is mission critical. Why we publish a famous Book of Alignments in our Members section. Register and learn. We now have more liberty and freedom to work in Civil 3D. The Annotation of Multiple Baseline Corridors is a Challenge? Once again that depends on how we approach the problem. DREF Corridors help us a bunch. Civil 3D certainly provides the tools to produce and maintain Corridor Station Labels. Those skills and issues are addressed in a series of posts and videos that start here. Please, excuse this opportune pun…Are you tuned into the right frequencies? We do speak of annotating Feature Lines…Feature Lines as Baselines means they become a Civil 3D Design Control Manager too. This is probably a bit more comfortable for site design folk. Many favor point to point design methods. Maybe it helps site design people grasp the point of and benefit of Managed Corridor Design. This again requires additional Style tool support to be more productive in real world projects. Civil 3D Users have fundamental Corridor design visualization issues to cope with. Old layer tools by themselves cannot cope all that well with Corridor model visualization. Corridor-based design is fundamentally Style-based by design and by necessity. A case in point and something to think about. The complex logical relationships between Corridor Code Set Styles and Feature Line Styles when coupled with Site Parcel Feature Line Priority demands a plan. Feature Line Priority based on Style assignments works in Sites and was built initially to help resolve site grading issues. In the old days all Feature Lines had to be in a Site. Now Feature Lines can be site-less. Since we will employ Corridors to dynamically solve more grading problems the importance of Site Parcels, the current applied Code Set Style (A change in a DREF Corridor can reStyle Corridor Feature Lines), and Site Feature Line Style Priority is both more complex and more useful. We must manage all of that or be schooled. The Key is how do we think and talk about that? Maybe you consider the Right of Way line the separator between the ROAD design and the SITE design Keys. Historically, Autodesk’s way of publically talking about Civil 3D tools and Corridor Features favors that. Autodesk’s rather sad example templates encourage this distorted CAD layer think. Case in point - Autodesk Profile View styles by default all go to ROAD layers. If you do shopping center or business park design, DRWY and PRKG perhaps supersede both ROAD and SITE Keys. The NCS Standards themselves have evolved to deal with these evolved key issues. The Autodesk examples have not. Have you? 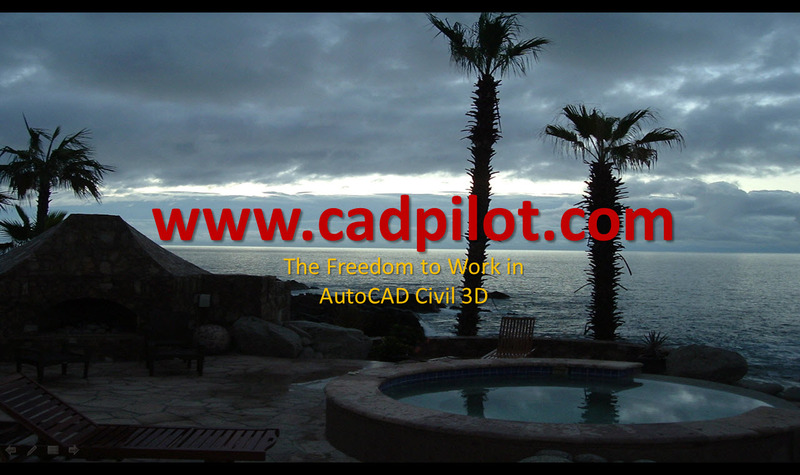 To make layers and AutoCAD skills first too often becomes a Civil 3D stumbling block. This is layer information management incorrect thinking. That is a classic form of CAD think. Even if we are skilled at Civil 3D, we can suffer from LIMIT…e...d thinking. Styles Don’t Care About Layers. You do. These days the Framework of Civil 3D happily supports multiple Layer scheme variants and both old school CTB and more evolved STB publication methods out of the box. Adaptive Civil 3D standards work. Next time more about the Keys we need to build and employ Limitless Style tools in Civil 3D.